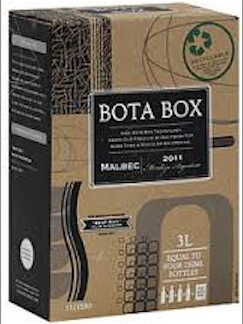 The 2011 Malbec from Bota Box gives more than a strong hint of blueberry and/or blackberry along with some very pleasant earthy tannins. This medium bodied wine pairs nicely with chicken and red meat (of course). Also of note about two cups worth really brought out the flavor in my last slow-cooked roast (over 12 hours in a crackpot), though I typically prefer to put good wine directly in the cook instead of the dish. This 3L box wine from Argentina can often be found for less than $20 USD retail and is distributed nationally in the USA by Bota Box. 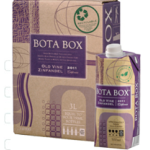 For the Green Conscious wine drinker the box is recyclable and is made from recycled paper from 100% post consumer fiber. 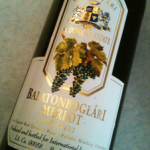 I am not alone in my positive opinion of this wine as Wine Enthusiast Magazine gave it a “best buy” and classified it as a Value Superstar. You can sometimes still find an older 2009 Vintage, which will still be within the “Freshest Before” date.